Retail Pharmacy Assistant emagazine, the only pharmacy assistant publication in Australia will provide useful information for PA’s personal and professional development to maximise pharmacy performance. Subscribe now to receive the monthly emagazine launching on the 10th April, and enter into a draw to win prizes. 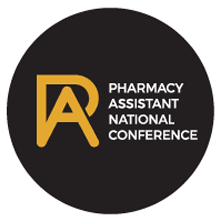 RPA emag is the official media award partner of the Pharmacy Assistant of the Year Award & Media Partner for the 2019 Pharmacy Assistant National Conference.